Four years after its first screening at Toronto International Film Festival, Emraan Hashmi starrer Tigers is finally releasing. 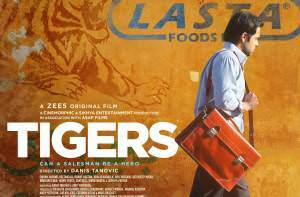 Directed by international filmmaker Danis Tanovich (best known for directing Academy Award-winning film No Man’s Land), Tigers is based on a true story of a Pakistani pharmaceutical salesman Ayan (Emraan Hashmi) who realises that the product he is selling for a multinational firm is responsible for the death of infants. Despite all the odds against him and life threats to him and his family members, Ayan takes on one of the biggest MNCs of the world.